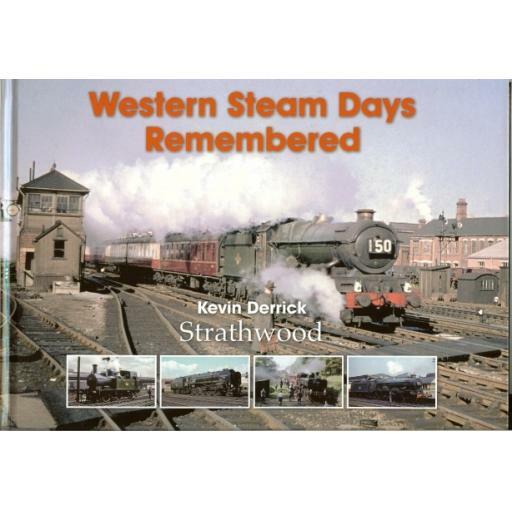 We take a pictorial tour of the Western Region through the 1950s and into the early 1960s to enjoy the splendour of steam across both mainlines and branches alike. A fine selection of Swindon's finest steam locomotives are seen along with a sprinkling of Standards and visitors from other regions too. Our grand tour of the region enjoys visits to: Swindon, Old Oak Common, The Somerset & Dorset, the West Country, Bristol, The Severn Tunnel, Southall, Reading, Banbury, Gloucester, the Cambrian and plenty more all here to enjoy within.